I offer the following with no animosity to third-party voters. Building an alternative to the dual-headed establishment mess is a tireless, thankless task, typically performed with the best of intentions. I’ve tried the third-party route, serving briefly as chairman of the Libertarian Party of NC in the 1980’s, and while my experience may not be typical, it does offer some perspective that, along with common sense, I hope you will consider. 6. If Hillary wins, we’ll be lucky if there is even a second viable party left standing. 5. Election night is no fun. It’s not unlike waiting all day for the Powerball drawing and anxiously tuning in, only to remember – you never bought a ticket! Not that it would matter. You are more likely to hold that winning number than to ever see the Veteran’s Party candidate win the presidency. What can be more gloomy than waiting all night, after months of hard work, to see which of the two evils will win? 4. You’re only disarming yourself. America, with exceptions, has adopted a two-party system to avoid countless primaries and run-offs, not to mention a deeply divided populace and an ultimate winner backed by a tiny percentage of the population. As a conservative, I will work within the Republican Party, imperfect as it is, as long as there remains a united, organized Democratic Party. You don’t have to abandon your principles to know that counting on a complete unknown against a well-known, well-funded Democrat is akin to sending a posse to fight the Chinese Army. 3. It evades the work of reforming the major parties. The systemic corruption and compromise that defines the two-party system will likely surface if any one of these unknown parties should ever take office. It might take a generation, but power will corrupt even those individuals with the most noble intentions. The enemy is not really the Democrat/Republican machine, but human nature itself. As of now, the Republican Party can accommodate small-l libertarians such as Rand Paul, who, like his father, is unafraid to correct his own party when necessary. It may not be fair, but a winning strategy deals with circumstances as they are. Imagine the Senate if such ideological stalwarts as Ted Cruz, Mike Lee and Rand Paul had run as second-tier candidates. Simply, you may not like the style, but you go with the vehicle that will take you the furthest. 2. It’s one big fantasy. The third-party candidate will always be the most honest and most principled in the race. You can always tell your friends how much better government would be if only your obscure candidate from an even more obscure party had won. That is the great advantage of never winning – you never risk disappointment. If Donald Trump assumes the presidency and fails to keep his promises, his supporters have some answering to do. Most of them know it and are willing to take that chance. Those voting for the Constitution Party nominee can always cling to a fantastic, un-disprovable notion of what could have been if only the corrupt system had not rigged the process. With no chance of winning, a candidate can promise anything and, with no expectation of delivery, always come out smelling like a rose. 1. You haven’t got a prayer. Reasons 6-2 both embody and lead to this one inescapable fact – you’re not going to win. You’re not even going to come close. 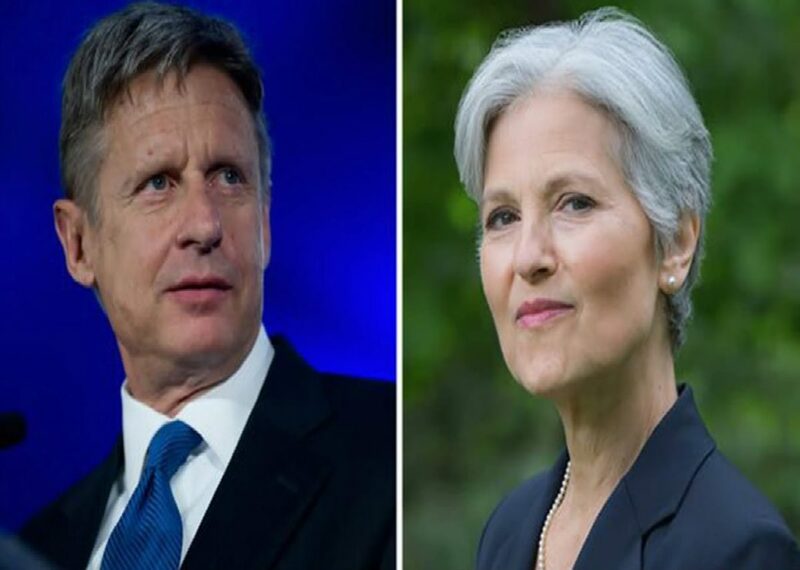 The most successful third-party is the Libertarian Party. They fielded their first presidential candidate in 1972, and, in a fluke of history, actually garnered one vote in the electoral college (thus, the female VP nominee, Toni Nathan, became the first woman in history to win an electoral vote). Despite decades of activism and court battles for ballot access, what else do they have to show? Granted, Gary Johnson could play a part in next month’s election, but only as a spoiler (by the way, what’s the Reform Party up to these days?). Despite their cynicism, Americans have accepted the parameters of our two-party system. To those who cannot, in good conscience, vote for either Trump or Hillary, you have your choice of abstaining or opting for one of the lesser-knowns. Just don’t harbor any illusions that you are making a ripple beyond feeling better about yourself. The barriers of our two-party system were not built to limit free expression. They were put in place to keep out perpetual division and Balkanization. Go third-party if you must. However, voters on the right still vote according to William F. Buckley’s rule: pick the most conservative who can win. End the Birther IssueVP Debate: Tim Kaine "You're Fired"!